OMNI-A0156 is a small extremely wideband active horizontal polarized antenna covering 20–3600 MHz for omnidirectional monitoring on vehicles or shelters. Based on the proven OMNI-A0098 product in the VP section, the active antenna provides excellent sensitivity across the band. An HP antenna below this provides horizontal coverage. The antenna is supplied with a short mast to supports the unit. Access to the base connectors is through a door in the mast. 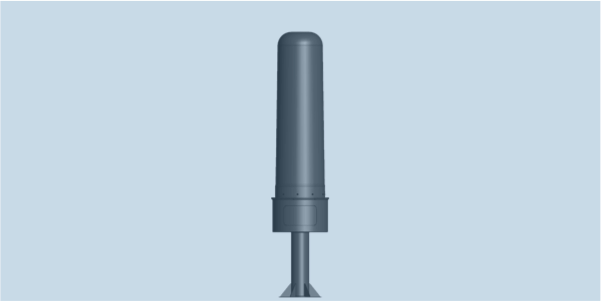 An optional lightning-protection kit provides protection against direct strikes to the radome, making this antenna suitable for mast-top mounting.